Increase your sense of well-being and comfort outdoors with the Ethimo Grand Life. 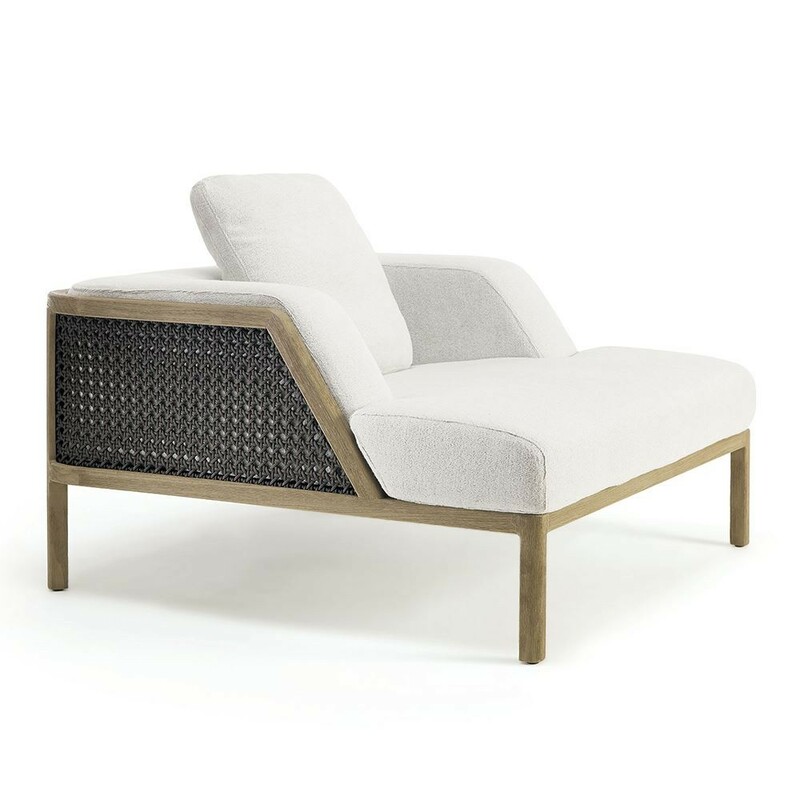 A new collection of lounge chairs destined for large and prestigious outdoor spaces. The pickled or natural teak structure with metal core is covered with large cushions that welcome the body with a feeling of deep and enveloping comfort. 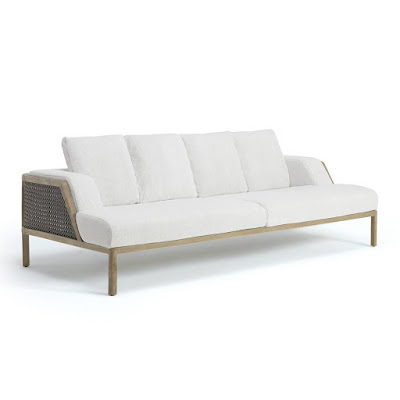 The weaving, inspired by the classic Vienna straw, is made of synthetic material, resistant to UV rays and abrasion. 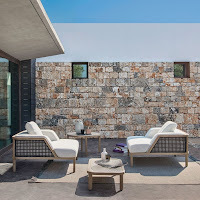 The large proportions, the soft cushions made with soft-touch fabrics and specific for outdoor use, increase the sense of comfort and well-being. 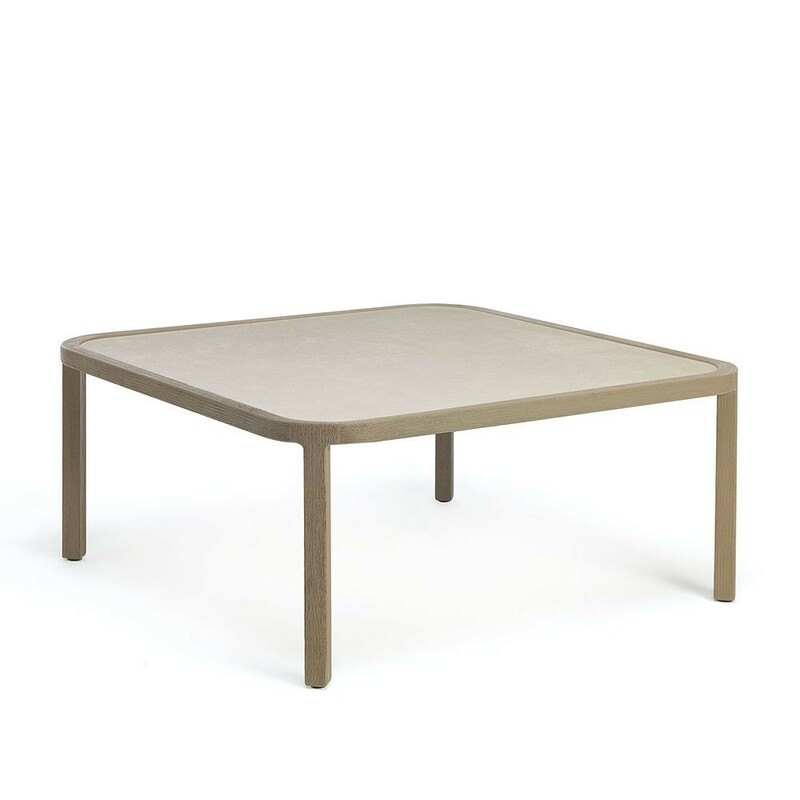 A collection for a 'Grand Life' en plein air capable of transmitting tactile sensations and visual characteristics of the most elegant indoor situations. 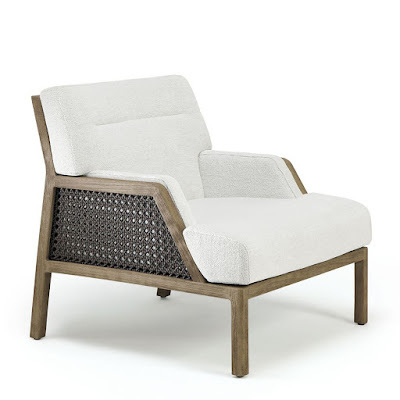 Brushed grey pickled teak and rope weave outdoor lounge chair with choice of upholstery colourways. Square coffee table with ceramic stone top and choice of wood options. Brushed grey pickled teak and rope weave designer sofa with choice of upholstery colourways. 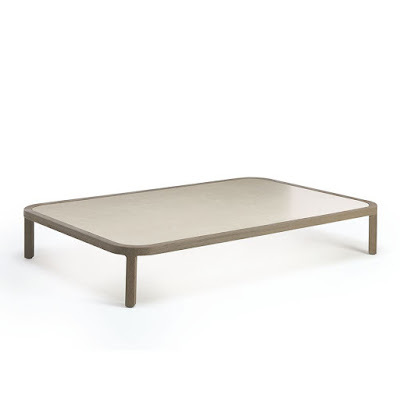 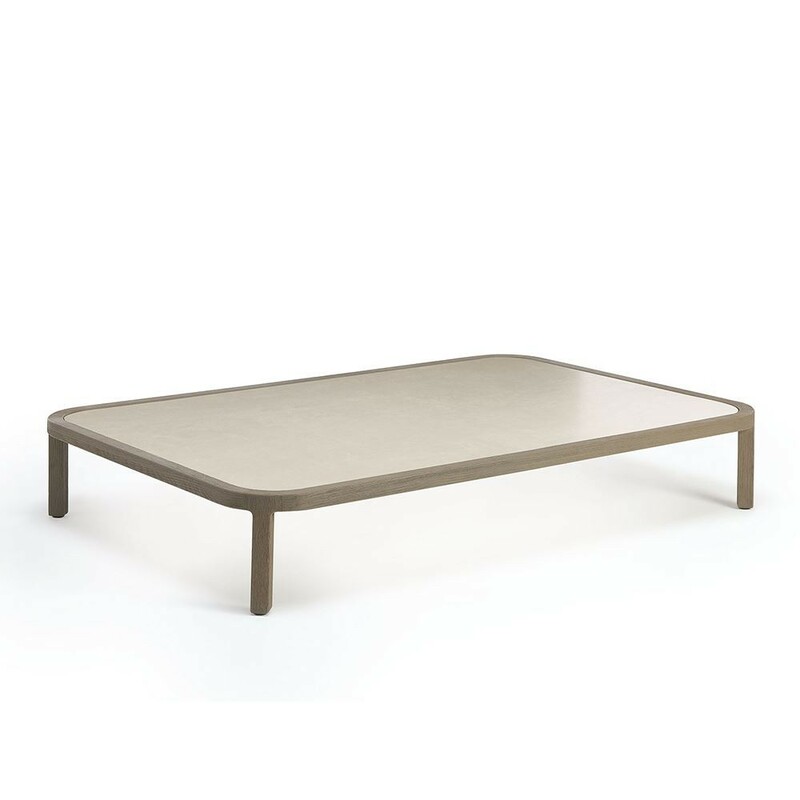 Rectangular coffee table with ceramic stone top and choice of wood options. 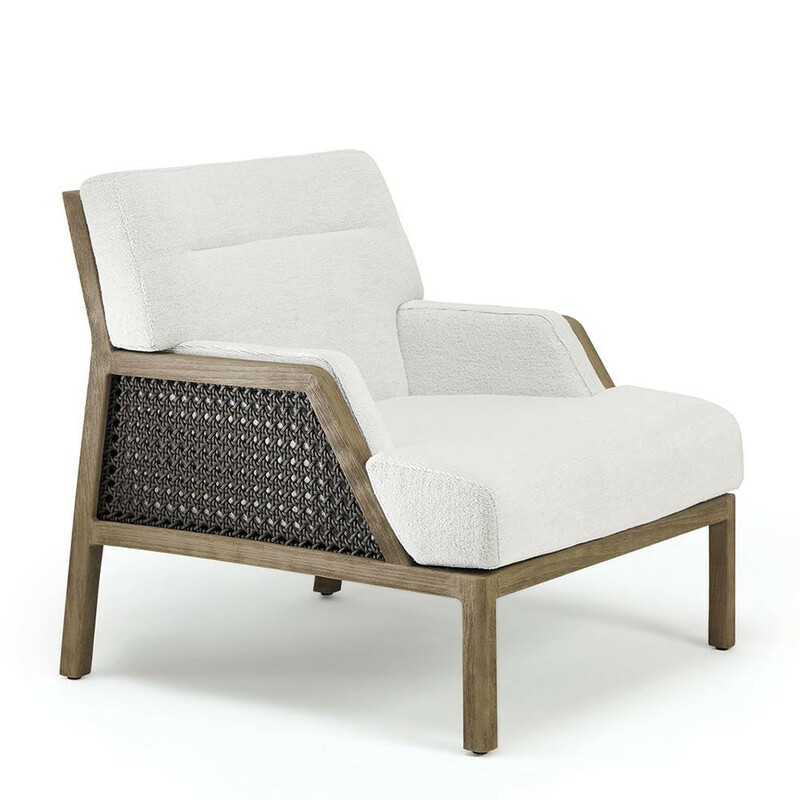 Brushed grey pickled teak and rope weave outdoor designer lounge chair with choice of upholstery colourways. 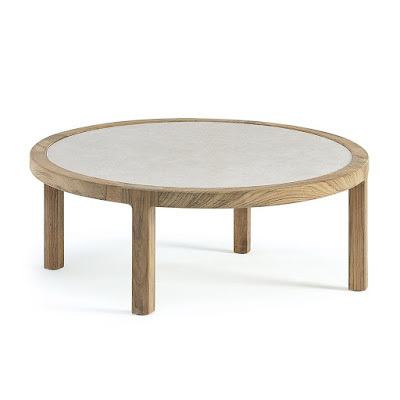 Round coffee table with ceramic stone top and choice of wood options.